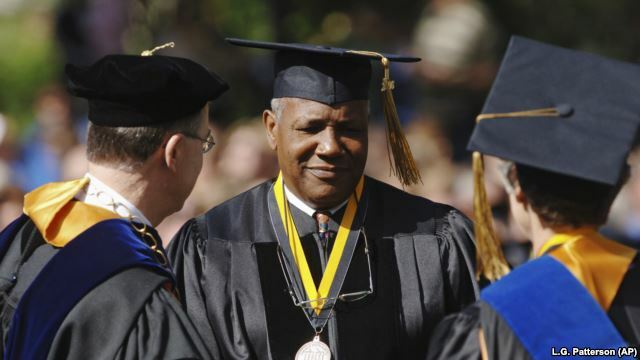 Redding, California, is a city with few choices for students interested in higher education. For generations, the local economy has been mostly based on sales of natural resources, such as minerals and wood from the forests of northern California. Jobs in these industries traditionally did not require a college education, and they long offered enough pay to support a family, says Buffy Tanner. Tanner is the director of several programs at Shasta College, a local two-year college. She describes Shasta as the only public higher education institution serving the surrounding the area. "We don't really have a college-going culture in our area," Tanner tells VOA. "Even with the shift in our economic base, there's still lots of families that don't quite understand, you know, 'Why would you go to college? Why wouldn't you just go to work directly out of high school?'" Over the past 30 years, many local businesses dealing with natural resources have closed, says Tanner. Now, most of the local job openings are in fields like healthcare and education, which do require some kind of college degree. The issue is that, because people in Redding have failed to see the value of higher education, few of them have a degree. In fact, three years ago, Shasta found that about 31 percent of area adults over age 25 had attended college without completing their study programs. So, Tanner says, Shasta College decided it needed to do more to help former students return to college and finally earn a degree. In 2016, Shasta launched two programs, which she now leads. They are called Accelerated College Education, or ACE, and the Bachelor's through Online and Local Degrees, also known as BOLD. The school designed each program with the needs of returning college students in mind, Tanner says. Such students are usually older than other students and have full-time jobs. And they are often earning money to support families, meaning they have lots of responsibilities in addition to work and school. That is why the ACE program offers a path to an associate's degree through night school as well as internet-based classes. 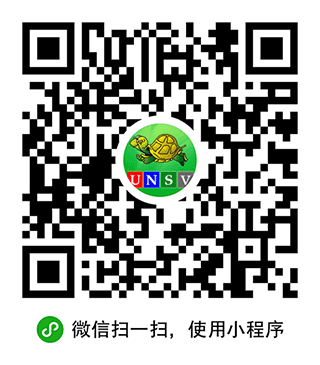 This program's study periods can be completed in just eight weeks, instead of the normal three- to four-month college term. As there are no nearby public four-year institutions, BOLD partners Shasta's returning students with public colleges and universities in other areas. It helps them earn a bachelor's degree through classes in Redding and online at a reduced cost. ACE also places returning students in groups that work together as they progress through the program. And BOLD offers special classes with Shasta that help students progress through the higher education system and find jobs after completion. So, the students have better support than they might have had in the past, Tanner adds. 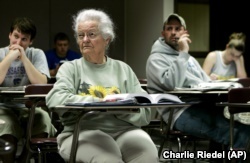 In this April 23, 2007 file photo, Nola Ochs sits in a class at Fort Hays State University in Hays, Kansas. Ochs, who became national news when she graduated from college at the age of 95. All of these efforts brought attention to Shasta College, leading it to join a larger movement to help students earn degrees. In February, the Lumina Foundation research group reported on the rates of people earning college degrees in the United States. It found that almost 16 percent of Americans between the ages of 25 and 64 had attended college without ever earning a degree. So Lumina and several other groups teamed up with the Institute for Higher Education Policy, or IHEP, to launch a program called "Degrees when Due." Julie Ajinkya is the vice president of applied research at IHEP. She says her organization has created computer software that collects information on college students who have yet to earn a degree. Through the Degrees when Due Program, IHEP has shared those software programs with Shasta College as well as other schools. Ajinkya says her organization plans to spend the next three years helping these institutions understand the data its software gathers. It will then show them how to identify and best serve the special needs of students who want to return. IHEP wants to share its resources with as many schools as possible, Ajinkya says. But first, like Shasta, the schools must recognize the reasons why students leave college and the barriers they face to returning. She says many leave because of a personal issue, like a health problem or family crisis. The main reason they have difficulty in continuing or returning to college is the rising cost of higher education. And these are circumstances that are often out of their control. "I think it's really … all of our responsibility to support students in eventually completing," Ajinkya says, "because we know that increasingly our job force is going to need more and more individuals who have some sort of post-secondary training. And so as a nation, we will miss a key opportunity if we don't. Colleges and universities across the country seem interested in this initiative. Dawn Medley is a student affairs official at Wayne State University, a public four-year institution in Detroit, Michigan. She says the Lumina Foundation reached out to the school about setting an example for how schools could help improve student graduation rates earlier this year. Together, they began examining student data and found that Wayne State had 13,000 students drop out of college without earning a degree. So, Wayne State launched a program called "Warrior Way Back." When students leave college before earning a degree, they still have to pay back their loans, Medley notes. Schools will not release the academic record of any student with unpaid debt. And a student often cannot attend another college without those records. This is a big problem for returning students who left because of financial reasons in the first place, she says. 'Warrior Way Back' lets former students with some debt return to Wayne State. For every term a returning student completes, the program reduces their old debt by a third. And if they choose not to earn a bachelor's degree, they can move to a community college to use their past work toward earning an associate's degree. What do you think colleges and universities should do to help returning students? We want to hear from you. Write to us in the Comments Section or on our Facebook page. associate's degree – n. a degree that is given to a student who has completed two years of study at a junior college, college, or university in the U.S.